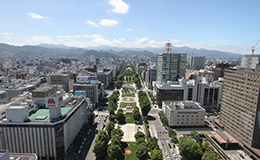 The Pacific Music Festival takes place primarily in Sapporo, a city with vibrant natural resources, located approximately 600 km north of Tokyo on the island of Hokkaido. The summer climate is mild compared to that of central Japan, with a comfortable average temperature of 22°C (72°F). 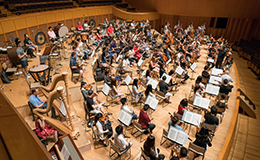 Most rehearsals and concerts take place at the world-renowned Sapporo Concert Hall Kitara, which is a 15-minute walk from the hotel where Academy members reside during their month-long stay in Sapporo. The PMF Library is set up in Kitara during the festival, with scores and parts for all music to be performed during the festival (and more) available to check out as needed. 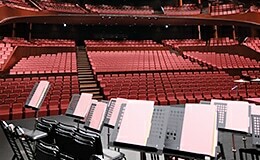 Seating auditions, used in determining orchestral seating for the entire festival, take place on the day after arrival. Orchestra rehearsals start the following day, first with sectionals and then with tutti rehearsals. Chamber music rehearsals are also regularly scheduled, including faculty coachings. A new orchestral program is prepared each week, with concerts held every weekend. Chamber concerts are spread out across the duration of the festival. At the end of the festival, the orchestra departs from Sapporo on a brief tour, with a final concert in Tokyo. Academy members depart for home from Tokyo on the following day. 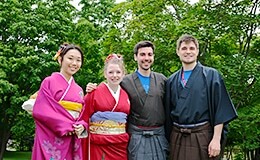 *Japanese cultural activities provide opportunities to learn about the tea ceremony, try on kimonos, or experience traditional Japanese music, and day-trips planned by the volunteer group are free to attend on the day off. The PMF Orchestra performs primarily at Kitara and the Sapporo Art Park Outdoor stage. Academy members have the opportunity to perform alongside faculty principals, generally on the second half of each of the main orchestral programs. 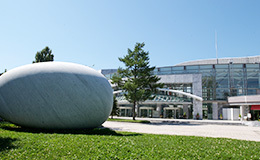 Chamber concerts are held at various indoor and outdoor venues, in Sapporo and beyond. 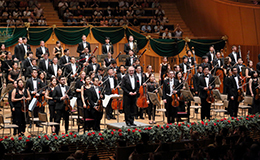 The festival concludes with a concert at Suntory Hall in Tokyo. *Concert attire varies according to the venue, ranging from tuxedos & black dresses to the official PMF T-shirt, which each Academy member receives upon arrival. A breakfast buffet is served every morning at the hotel restaurant. Lunch varies according to the schedule; a buffet lunch is served at the Terrace Restaurant Kitara on some days, while on others the Academy is free to eat anywhere they choose (a meal stipend is provided), and boxed lunches are served on concert days. Dinner is generally during time off, and Academy members often go out to eat in groups, sometimes even with faculty. *Vegetarian or allergen-free boxed lunches are available upon request. Aside from personal expenses and meals during the final 3-day tour, PMF Academy members have all of their meals, travel costs, accommodation, and educational fees provided for by the festival, in order to ensure that talented musicians are not prevented, insofar as possible, from participating in PMF for financial reasons.